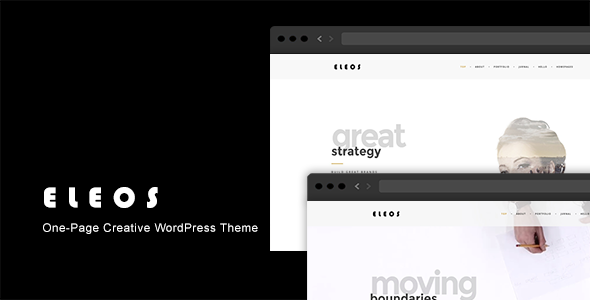 Eleos is a Modern and Creative premium WordPress Theme. Design Theme is made in a beautiful style. It is suitable for Personal Portfolio, Creative Agency, Designer Portfolio, Illustrator Portfolio, Photographer Portfolio and more.Theme has a universal design, it thought every detail and animation effect. Its just as easy to customize to fit your needs, replace images and texts. Information! Would you like to leave your comment? Please Login to your account to leave comments. Don't have an account? You can create a free account now. Hey, would you please share the newest version V2.1.7 which is out on 18th April? Thank you. THEMELOCK.COM © 2016 All Rights Reserved. On our website you can find links that lead to media files. These files are stored somewhere else on the internet and are not a part of this website. THEMELOCK does not carry any responsibility for them. If your copyrighted material has been indexed by our site and you want this material to be removed, contact us immediately. Please notice it may take up to 48 hours to process your request. Do not hesitate to voice any concerns by contacting us!